The apartment is just 5 kms from the center . It's an one bedroom apartment with a living room, a kitchen, and it sleeps four people . There are two sofas in the living room. 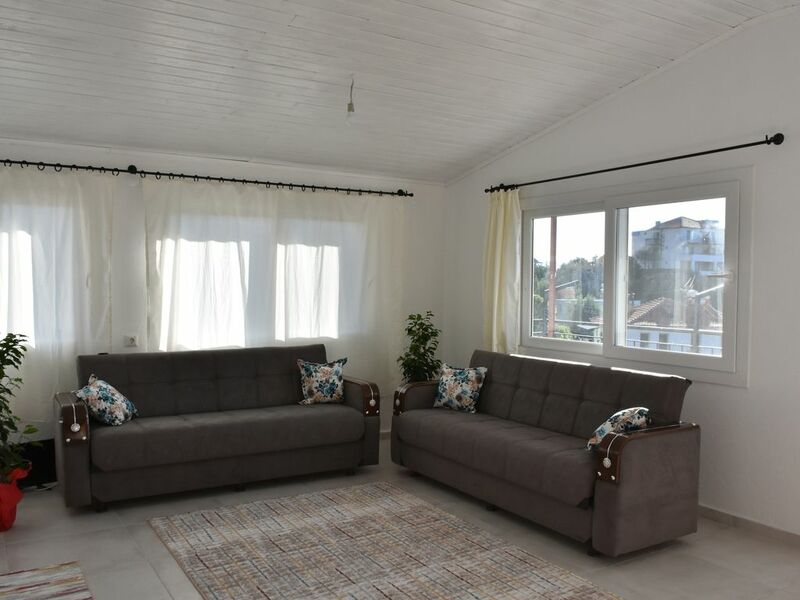 The apartment is on the second floor with beautiful views of the sea. The Mediterranean Sea is very close to our apartment and you are able to walk there if you choose. The kitchen is fully equipped and hot water is always available.